Allegri - List of works. Best Classical Tunes. Gregorio Allegri started his musical career as a choirboy at the church of St Louis des Francais, in Rome. After appointments around Italy his career culminated as a tenor in the Papal choir at the Sistine Chapel. He belonged to the counter-reformation school of Palestrina. His most famous work is the Miserere, for 9 voices. It is a polyphonically ornamented psalmody for double chorus, one of four, the other of five voices. This psalm is traditionally sung in the Sistine Chapel during the ceremonies of Holy Week. The Vatican kept it very secret for centuries, but Mozart is reputed to have written it down after one hearing. When performed by the choir of King's College, Cambridge, odd-numbered verses are sung by the full choir of five parts, consisting of first and second sopranos, altos, tenors and basses. Even-numbered verses are sung by four solo voices, namely a first and a second soprano, an alto, and a bass, with no tenor at all. This makes these verses very light in texture, They also feature the beautiful abbellimento in which the first soprano charms us by reaching a high G, only to surpass this by rising to a top C. (This is C6 in MIDI terms, 2 octaves above middle C). 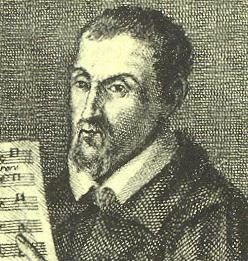 Works written by Allegri Audio is available for 1 tunes by this composer.